Perpetually Taken Aback Person: I-SHAN'T SHEAR-MA HAIR! 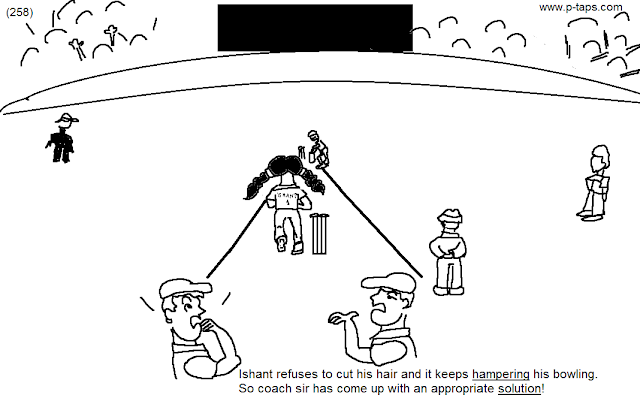 Ishant refuses to cut his hair and it keeps hampering his bowling. So coach sir has come up with an appropriate solution!